"Today we had an exciting, informative and exceptional presentation by Brian Blain. Our students and staff at Bloorview sang, clapped and spontaneously jumped up to dance to the wonderful music presented by Brian. We learned so much about the history of the blues. 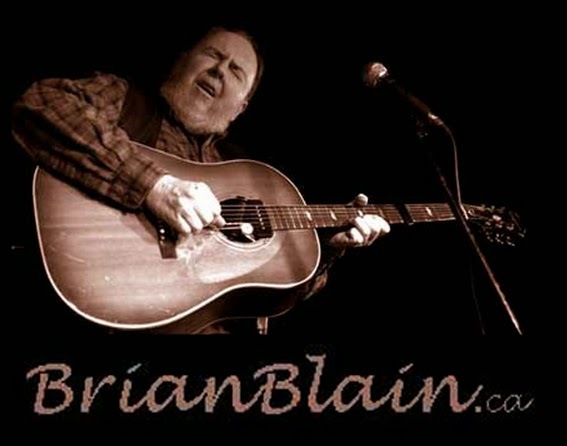 Brian began by introducing our group of 70 students and 30 staff to the Delta Blues. He played “The Midnight Special” encouraged us to join in and told us about Leadbelly. Then he helped the children create their own verses to “Pick a Bale of Cotton”. The children were so engaged! They enjoyed learning about gospel music when he played “Wade in the Water”. Brian was able to captivate the students for the full 45 minute concert. Their smiles, clapping and movement showed how much they enjoyed participating in the program. Our students range in age from 4 to 21 years old and he was warm, generous and able to relate so well to all of them. We learned about the roots of Rock and Roll, Elvis, Chuck Berry and also enjoyed his original songs. We want to thank the Blues Society. We are so happy to host this “Blues in the Schools” program at our school, especially since our students can’t easily attend performances out in the community. These concerts enrich our music program, our appreciation of music and inspire many young musicians."